H.P. Lovecraft And The Shadow Over Horror Lovecraft's stories are among the foundations of modern horror; they still have the power to terrify today. But his bigotry is just as horrific — so how do we deal with this all-too-human darkness? H.P. Lovecraft's stories are among the foundations of modern horror. He has an entire subgenre named after him (Lovecraftian horror, also called cosmic horror). His stories can still wring shivers from the modern reader; his gods and monsters are cloned, adapted and mutated by new authors every year (I'm one of them). I don't actually know how many anthologies include either his name or his iconic creation Cthulhu in their titles — though a sample make up a largish shelf among my books, and then there are the movies, songs, role-playing games and plush abominations (another shelf). During the 2016 election, a Washington Post op-ed claimed Cthulhu's endorsement for Donald Trump. But Lovecraft was a bigot. He was a bigot by the standards of our time and his. He hated and feared African-Americans, Jews, poor people and anyone who had the temerity to speak languages other than English in his presence. He once wrote a poem called "On the Creation of [N-words]" and a story in which the horrific punchline was that the femme fatale with monstrous, man-strangling hair was "a negress." Though sometimes less overt, his terror of humans who were not upper-class Anglo-Saxons pervades his stories. One celebrated classic, which did end up on our final list, ends by recognizing a strange and alien race as "men" like the reader — men whose civilization collapsed because of a revolt by their monstrous slaves. 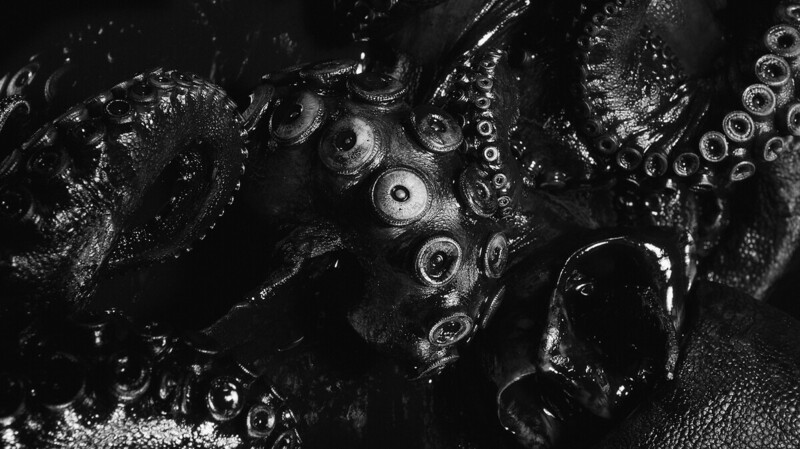 Those slaves, the shoggoths, appear as boogeymen throughout Lovecraft's oeuvre. What to do about the darkness gnawing at horror's roots? Perhaps Lovecraft's own metaphors are best: Can this ancestral taint be denied, or does it warp its descendants even today? Could we destroy it, even if we wanted to? If we did, what would remain of our modern branches? Could we instead transform it? Horror excels at making thought-provoking beauty and terror out of the most vile seeds. Can we work such metamorphoses with our own foundations? Every time someone raises this topic, traditionalists accuse them of forced amnesia. "You're trying to bury Lovecraft's memory. You want us to forget him." Yet modern horror has repeatedly chosen transformation over suppression. Victor LaValle, Caitlin R. Kiernan, N.K Jemisin and Matt Ruff are only a few of those now penning Lovecraftian stories in which bigotry itself is the horror. Lovecraft's repellent assumptions still make their way into modern work ... In our poll, we've chosen to shine light in these shadowed corners rather than keep them in silent darkness. Pervasive in cosmic horror is the conflict between attraction and repulsion. Lovecraft's narrators stumble into terror because they can't look away: The only thing worse than knowing things man wasn't meant to know is putting down the book. I feel the same way about Lovecraft. "The Shadow Over Innsmouth" begins with the town's amphibious inhabitants being forced into internment camps; my first novel resulted from yelling at the story until I had to put my fury down on paper. Yet "Shadow" also contains moments of strange sympathy for its monsters and a protagonist who ultimately discovers himself to be one of them, and transforms to "dwell amidst wonder and glory" beneath the waves of the Atlantic. Lovecraft, too, was conflicted — though in his short life he never found the courage to let his attraction to difference overcome his repulsion. Perhaps we keep building on his creations in the hope that we can finally complete that half-hinted transformation. Lovecraft's repellent assumptions still make their way into modern work; even beloved modern authors sometimes show hints of that taint. In our poll, we've chosen to shine light in these shadowed corners rather than keep them in silent darkness. If we know that a story or author is problematic, we'll tell you — and no shame on anyone who doesn't care to dip their hands into that particular variety of putrescent pool. There are a few I won't touch myself. But for those who can't turn away from what glints at the heart of the slime — or who seek imperfect materials to sculpt into strange new forms — we'll do our best to map the abyss. Ruthanna Emrys is the author of the Innsmouth Legacy series and co-writes Tor.com's Lovecraft Reread. She lives in a mysterious manor house on the outskirts of Washington, D.C. with her wife and their large, strange family. You can find her on Twitter as @r_emrys.